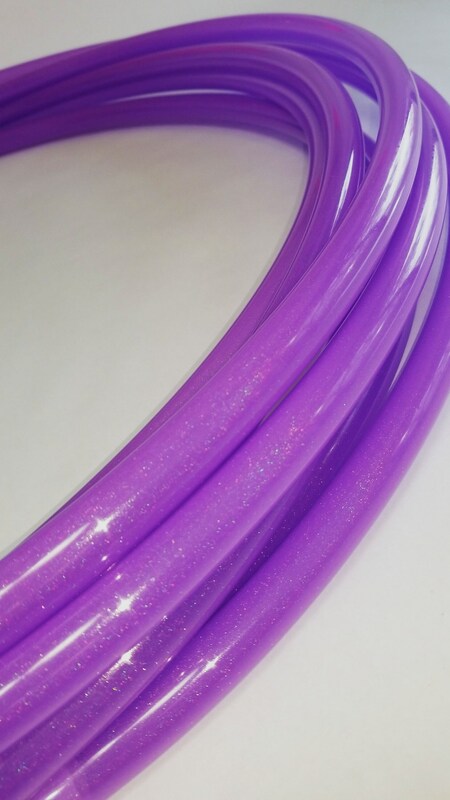 UV High Gloss Glitter Purple Polypro is a light weight plastic that is super reactive to touch making this the perfect hoop for fast light weight trick hooping. 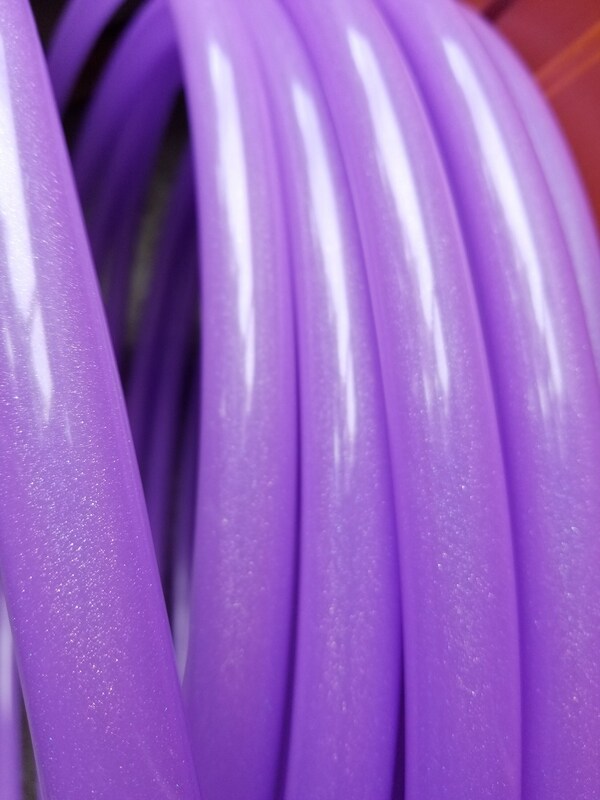 The high gloss finish also helps with grip. Push pin look makes this hoop easy to coil down for travel. Selecting Twin in the drop down menu means two hoops the same size. 11/16" & 3/4" 25"-38" push pin connections, mnis 20"-24" riveted shut. 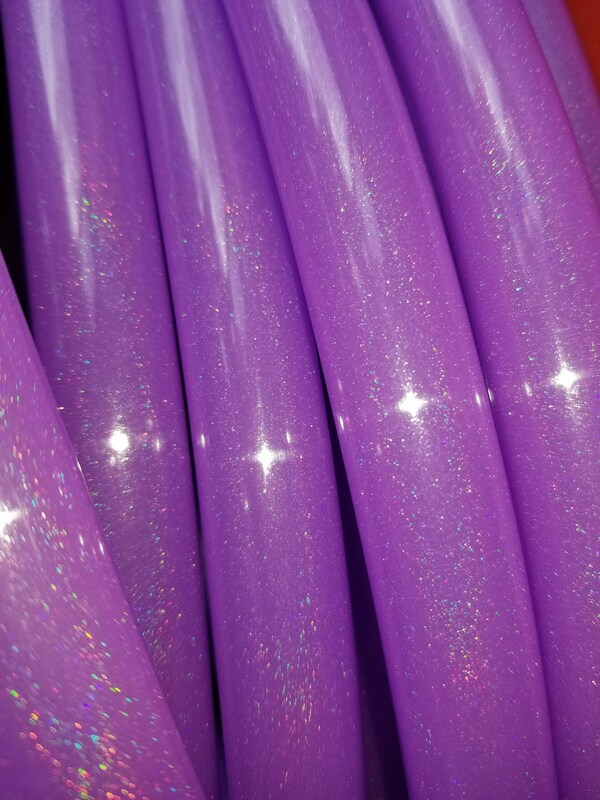 ♥ UV Reactive, glows under black light. 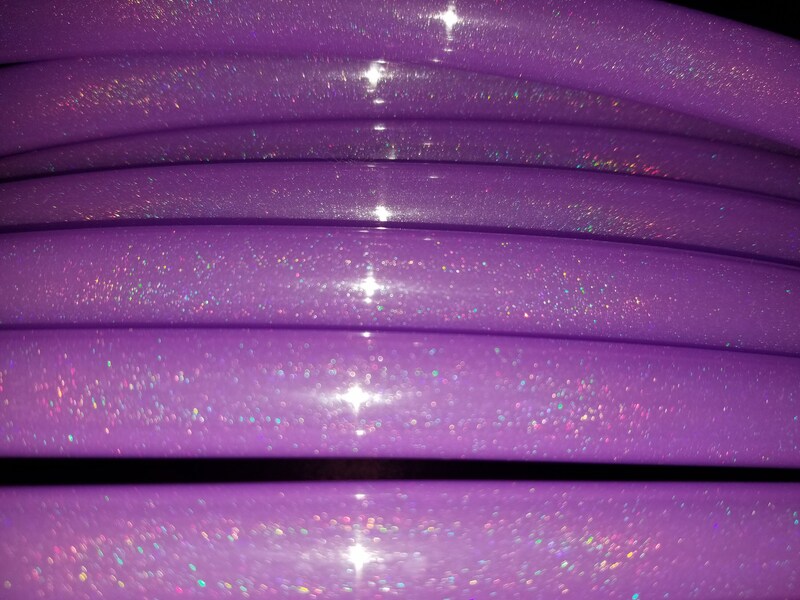 ♥ Mini sizes 21”-24” riveted shut or push pin closer for extra fee.